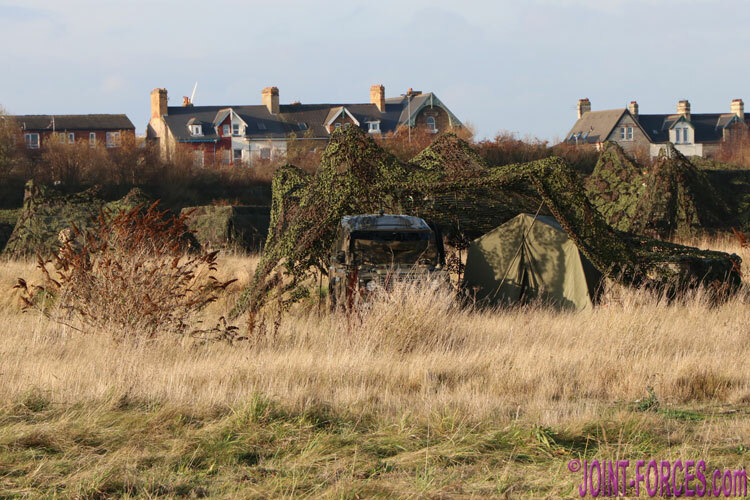 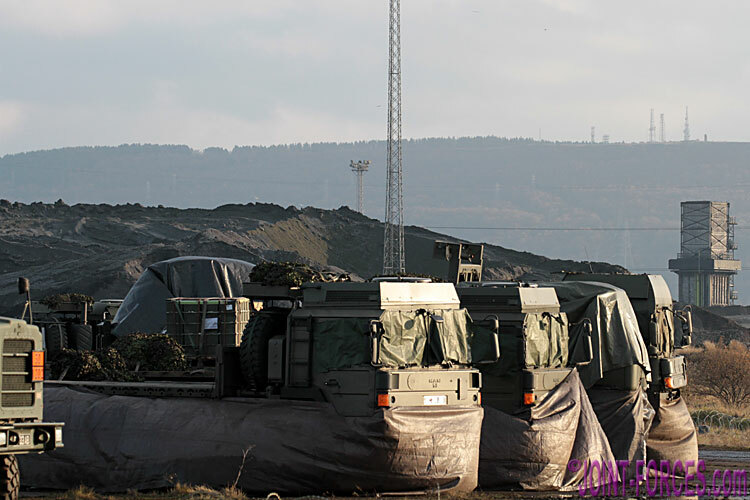 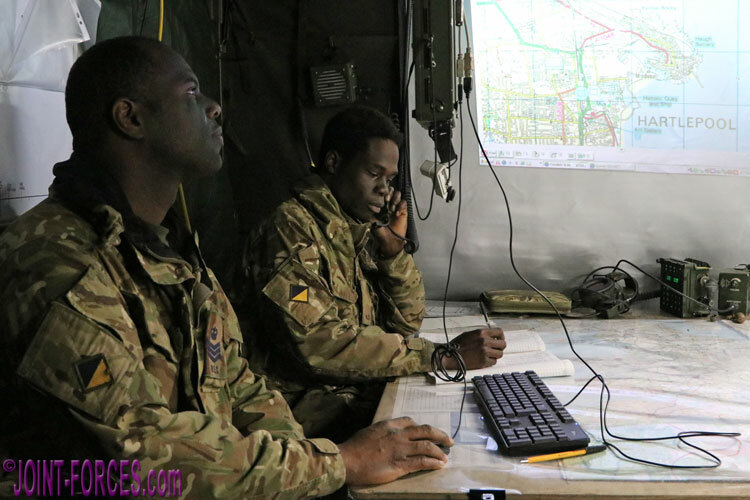 Exercise IRON PYTHON 18, which ran through the second half of November, was a major logistic exercise run in real time using public roads and civilian commercial land, writes Bob Morrison. 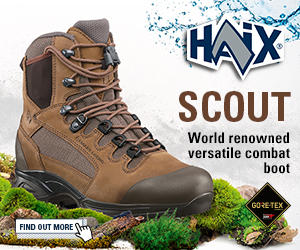 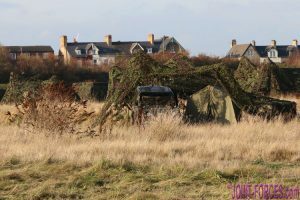 In recent years many British Army field training exercises have become much less realistic than those held in the days prior to Operation TELIC (Iraq) and Operation HERRICK (Afghanistan) as in the main they have taken place almost entirely on military training areas using boringly familiar ground and convoy routes etc. 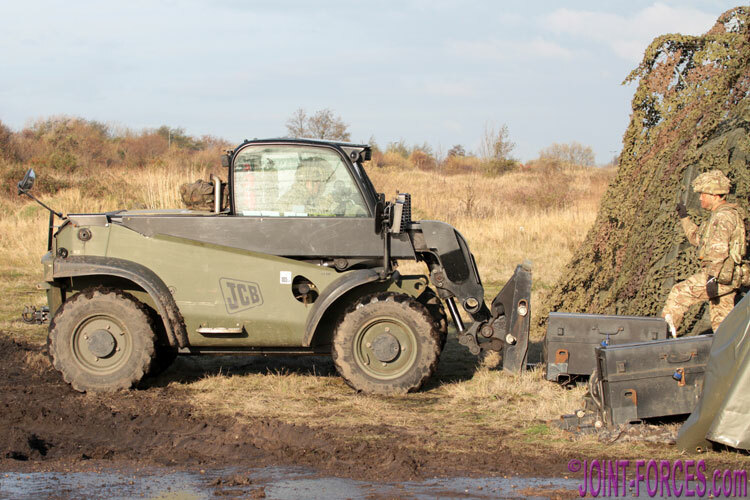 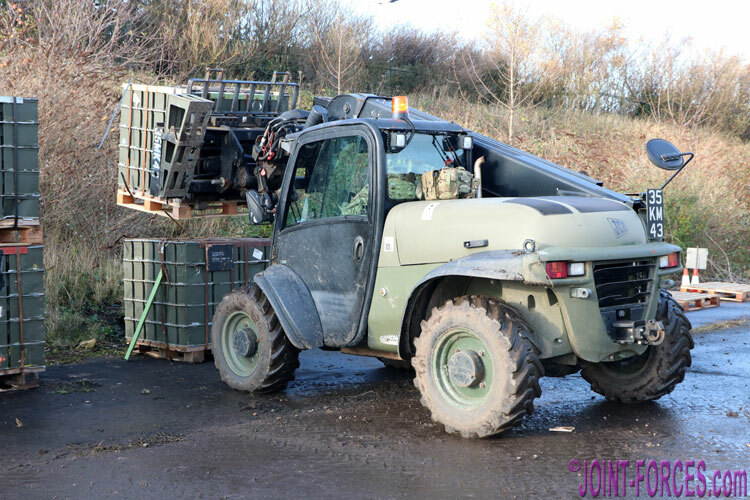 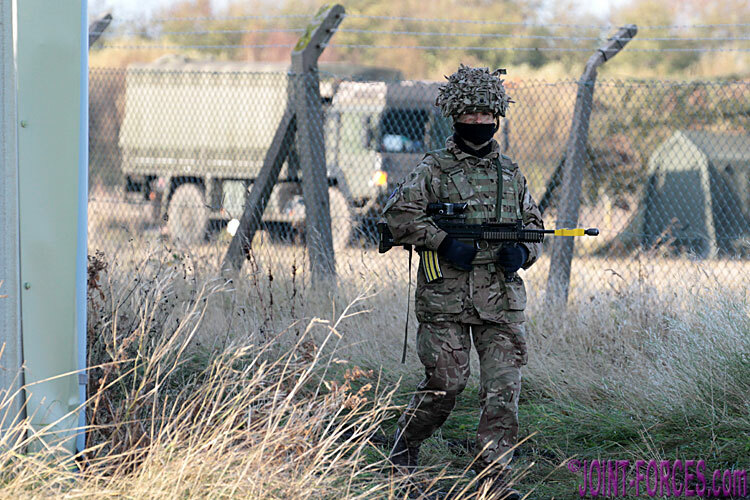 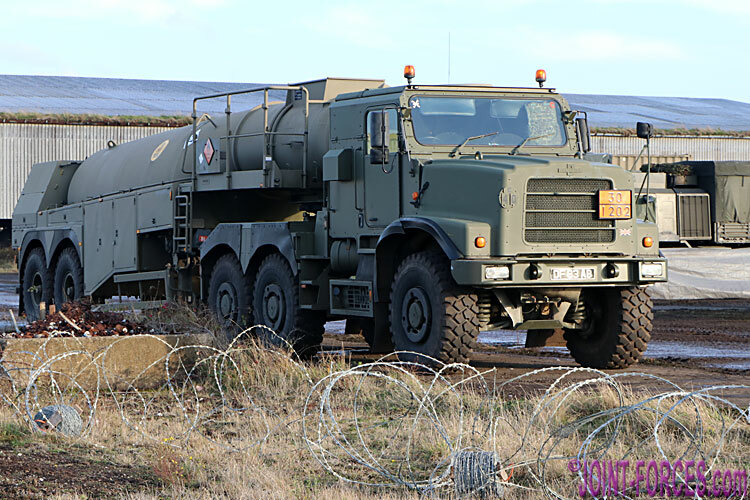 For IRON PYTHON 18, however, 101 Logistic Brigade RLC stepped out of their comfort zone and went back to operating out in the real world just like the Cold War generation of military truckers used to do when exercising in support of BAOR, the British Army of the Rhine. If one looks back to the two major TRACTABLE logistics exercises held in 2015 and 2016, important as they were, essentially they just brought a division’s vehicles and assets together in big fields on Salisbury Plain and then sent the drivers off following convoy routes over and around the training area which most of them probably knew so well from previous exercises that they could have driven them in their sleep. 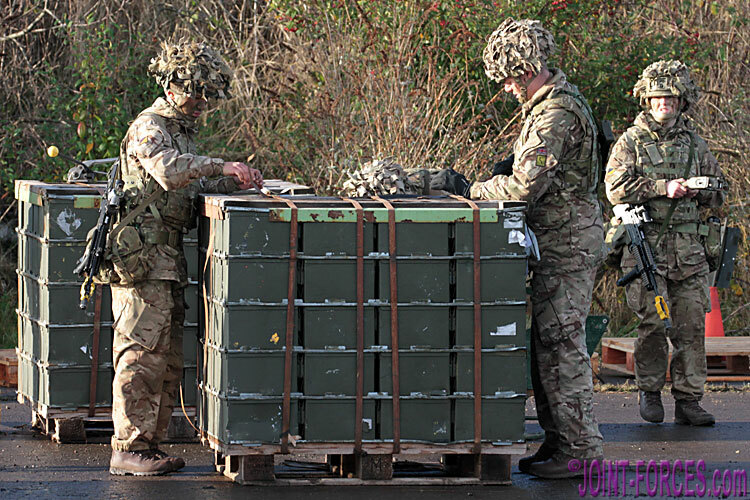 On the recent IRON PYTHON, however, not only were the component parts of 101 Logistic Brigade spread out over a more realistic 500 square kilometre block of urban terrain on Teesside, but the three major locations the Close Support Squadrons of the RLC Regiment servicing their infantry brigade clients had to deliver resupplies to every night were between 60km and 220km distant – just as they probably would be in an operational environment. For the best part of two weeks 101 Logistic Brigade, nicknamed the ‘Iron Vipers’, who provide logistic support to 3 [UK] ‘Iron’ Division as part of Britain’s Reactive Force, deployed approximately 2,000 troops across several training sites, from Southwest Scotland and Northeast England down to Central Southern England to test logistic, medical and equipment support readiness and procedures. 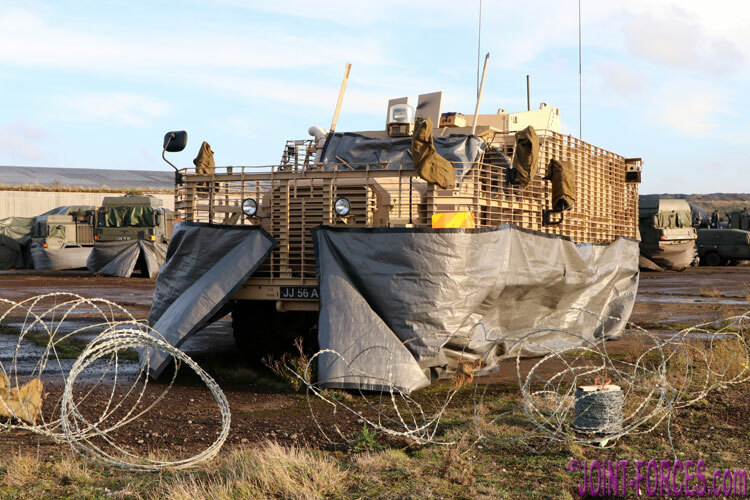 In addition to drawing together vehicles, equipment and supplies as if they had been put on a wartime footing, the Iron Vipers delivered both simulated resupplies to notional infantry battalions in the field at several actual locations over the massive exercise area (from Dumfries & Galloway to Otterburn to Catterick) and real-time resupplies to a major attack helicopter field training exercise to the north. 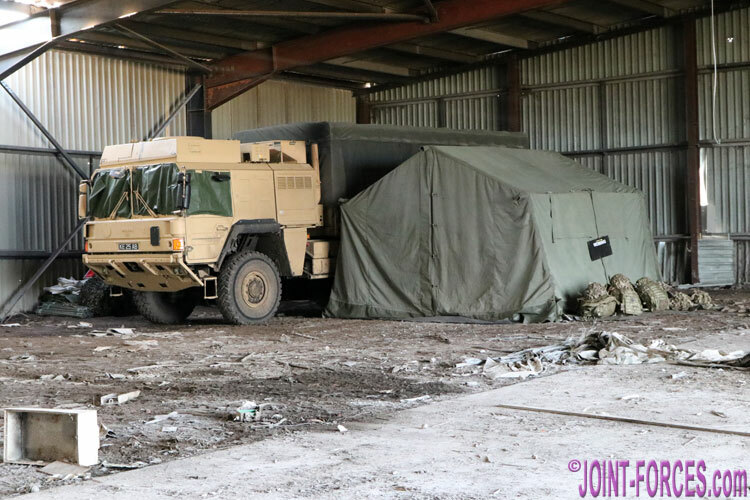 In the closing stages of IRON PYTHON we joined 4 Regiment RLC (Royal Logistic Corps) who are one of 101 Logistic Brigade’s sub-units tasked with sustaining up to 6,500 personnel during low, medium and high intensity warfighting activity. 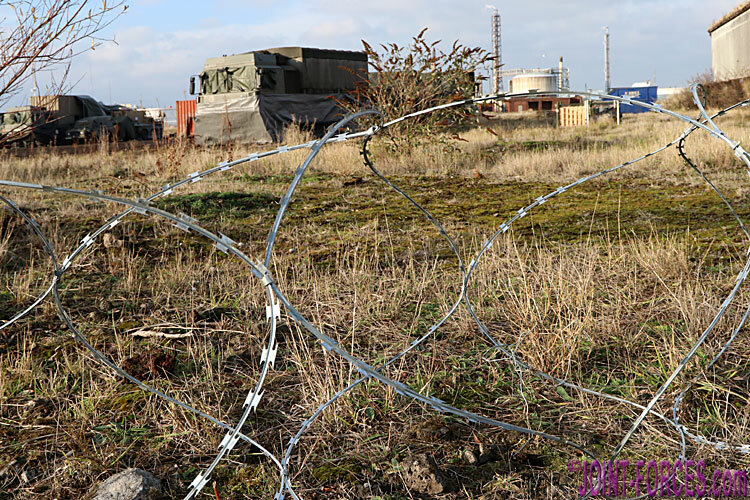 Operating primarily out of improvised dispersed bases at Durham & Tees Valley Airport, Redcar Steel Works and Hartlepool Docks, on spare industrial land offered to the Army by commercial companies, 4 Regiment not only tested their ability to sustain fighting troops across a wide area of operations but also countered numerous challenges and threats (including strikes and theft attempts) which they were unlikely to encounter if they had run the exercise entirely on the comparatively sterile and much less realistic military training areas. 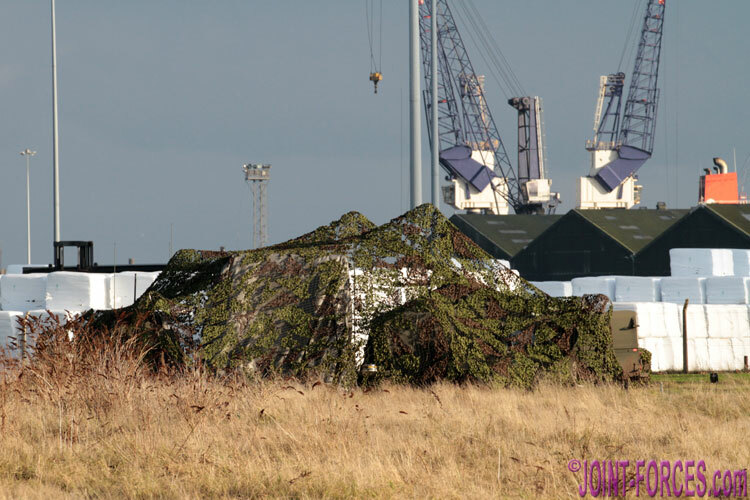 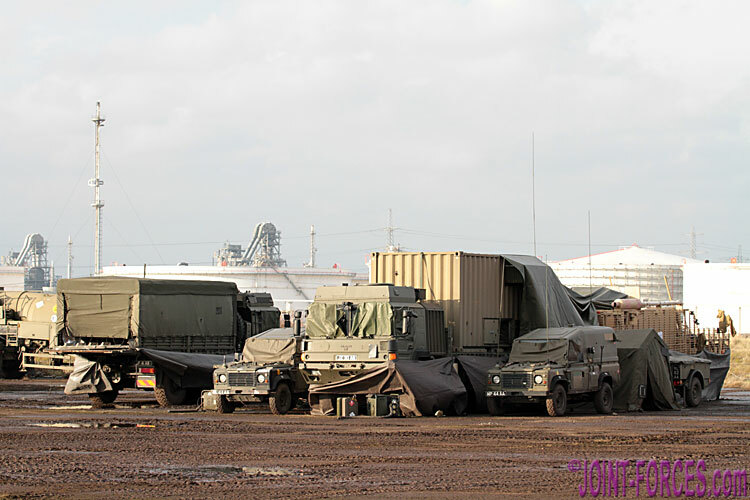 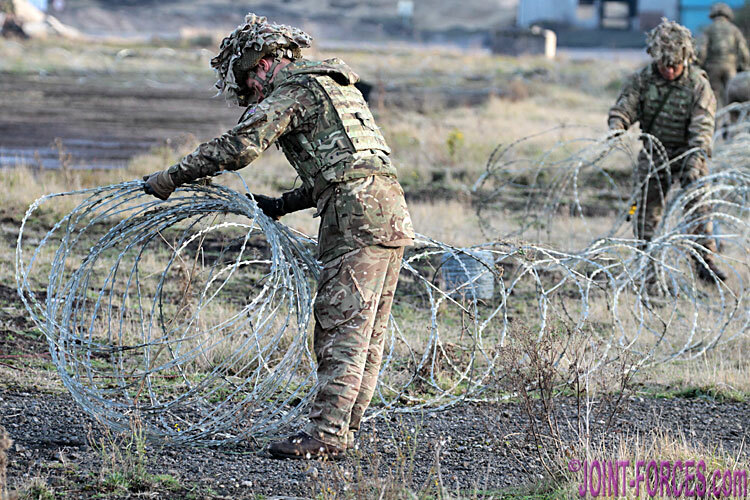 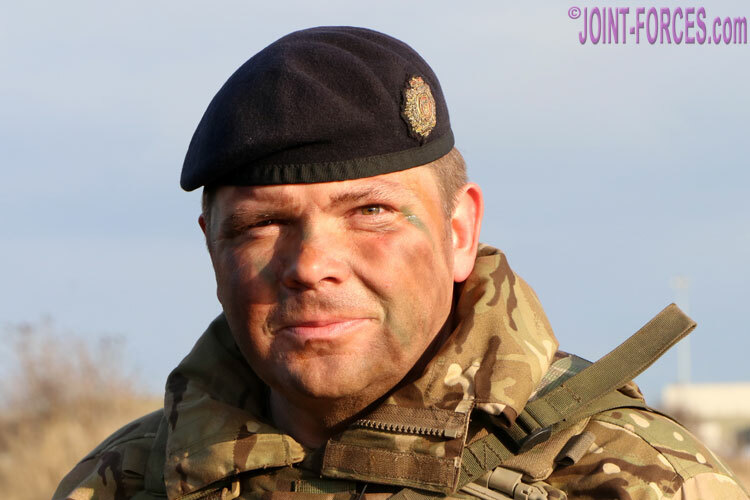 In total 4 Regiment deployed around 330 personnel with 128 vehicles from their base in Oxfordshire to a Brigade Support Group location at Hartlepool Port, where they joined REME (Royal Electrical & Mechanical Engineer) and RAMC (Royal Army Medical Corps) squadrons, and set up a Field Storage Area. 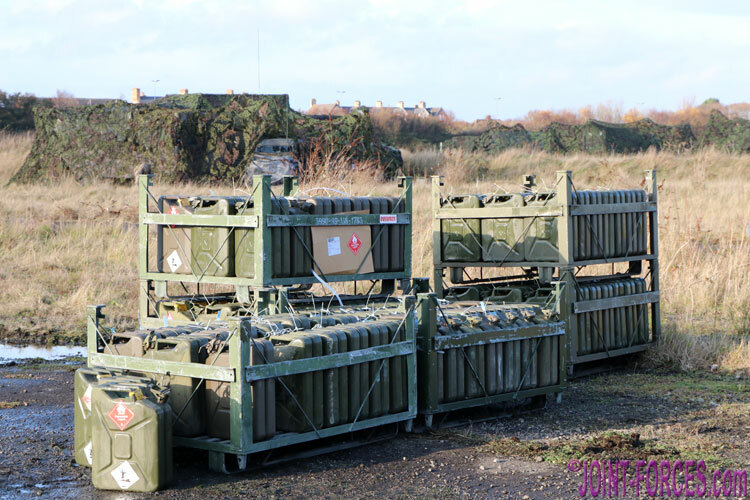 Here materiel was in-loaded from the Divisional Supply Areas by third line RLC elements of 27 Logistic Regiment and 10 Queen’s Own Gurkha Logistic Regiment to be receipted and stored by 4 Regiment’s General Support Squadron and then pushed forward to the fighting units by its Close Support Squadrons operating from dispersed locations. 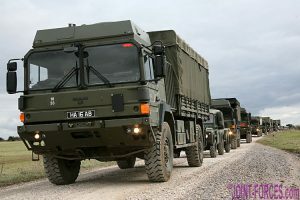 In addition to running road resupply moves of five to six hour duration, at reach and in the dark as well as within a real pattern of life, the logisticians on IRON PYTHON 18 also continued to provide real time logistic support to their parent brigade as if they were still operating from their Oxfordshire base. 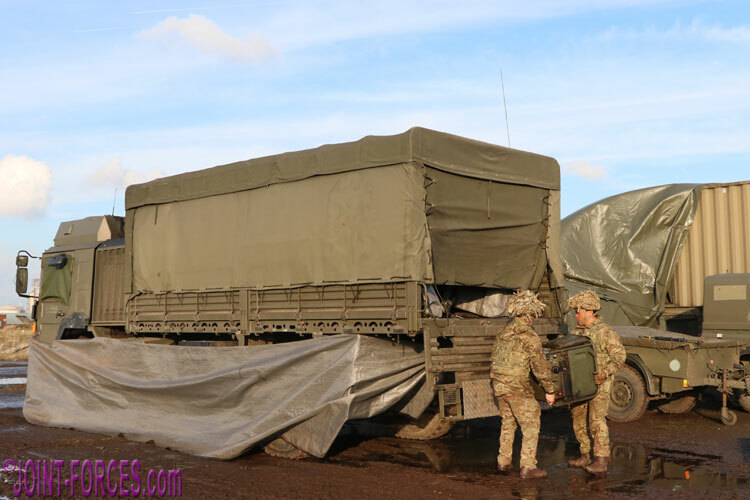 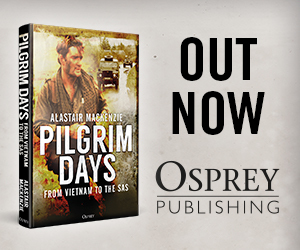 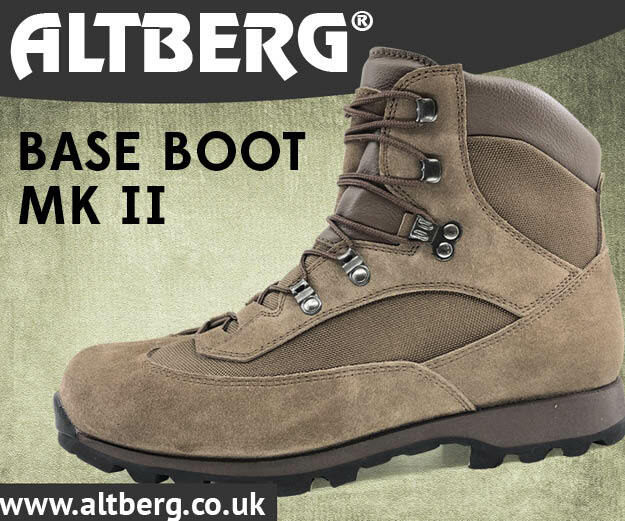 When supporting the aviation exercise the loggies provided resupplies as and when called up by the client units, rather than pre-delivering everything to a carefully planned advance shopping list, meaning they had to allow for all contingencies once out in the field. 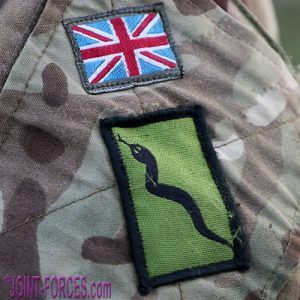 As a photojournalist who covered a number of large BAOR field training exercises out in the civvy world in the closing stages of the Cold War, not to mention having covered real-time logistics in the field during Op GRANBY (both in Germany and Saudi Arabia) plus UNPROFOR and IFOR in the Former Yugoslavia, I for one welcome this return to more realistic logistic training and hope to see much more of it in the future. 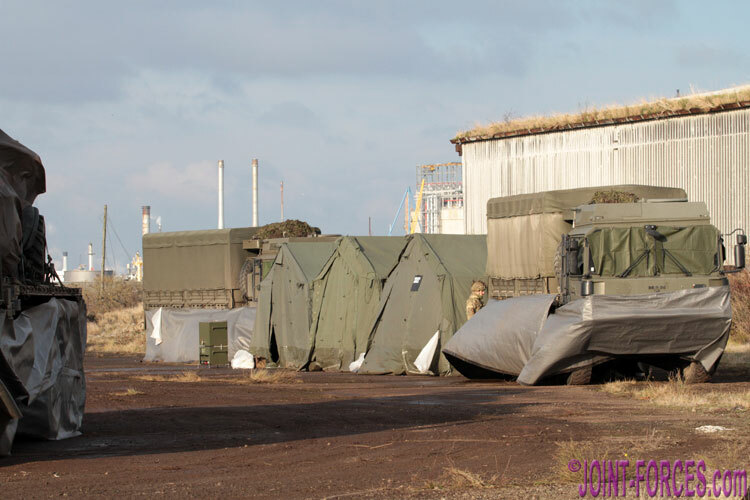 Like 101 Logistic Brigade, JOINT-FORCES.com wish to express our thanks to the management of both the Port of Hartlepool (PD Ports) and the Redcar Steel Works site for their assistance in producing this article.